In the past few months, Volkswagen has single-handedly forced the spotlight on diesel emissions since it was proven that they falsified emissions claims in just about all of its diesel vehicles. For years though, regulators and environmental activists alike have been watching diesel engines, and more importantly the clouds of choking smoke that they all too frequently belch out. It has been known for years that particulate emissions from diesels are cancer-causing (see Diesel Fumes Cause Cancer). The trouble is that the world relies on the raw power, the grunt, that you can get out of a diesel engine, enabling it to transport just about everything we consume, from its source to our kitchens. In more developed countries, there have been efforts to clean up the diesel engine with ever more stringent emissions standards, but developing countries, such as India, with far less stringent pollution regulations still have the problem of diesel pollution. 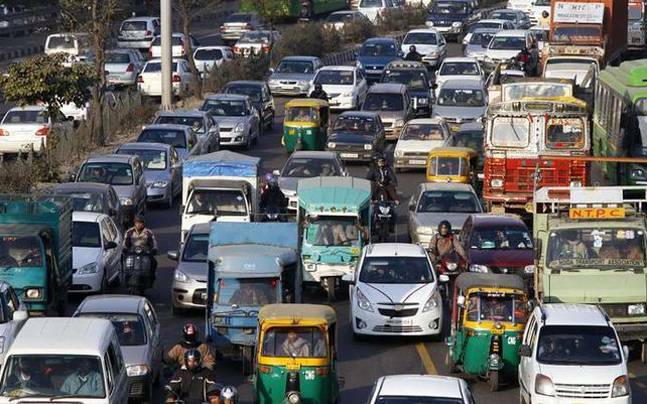 The authorities in charge of Delhi, the Indian capital, which has the unwanted accolade of being one of the most polluted cities in the world, targeted diesel vehicles last year when they banned all sales and registration of large diesels (above two-litre capacity). There was a cacophony of protest from manufacturers, which was not surprising as 40% of ALL VEHICLES SOLD in the capital are diesel-powered and above two litres. The capital’s government has now compromised and will once again allow the sale and registration of diesels, but they will be subject to a 1% levy, which of course could be read cynically as a revenue-generating exercise than a true attempt to beat pollution. Of course there are real efforts by the Indian authorities to speed up the introduction of Euro6 and ultra-low sulphur fuels. Along with the use of additives specifically designed to stop particulate emission from diesels – such as those produced by our sponsors X-1R – and some form of age limit for older diesels, these will be the biggest enablers for a reduction in the city’s smog. All the rest is largely symbolic at best.